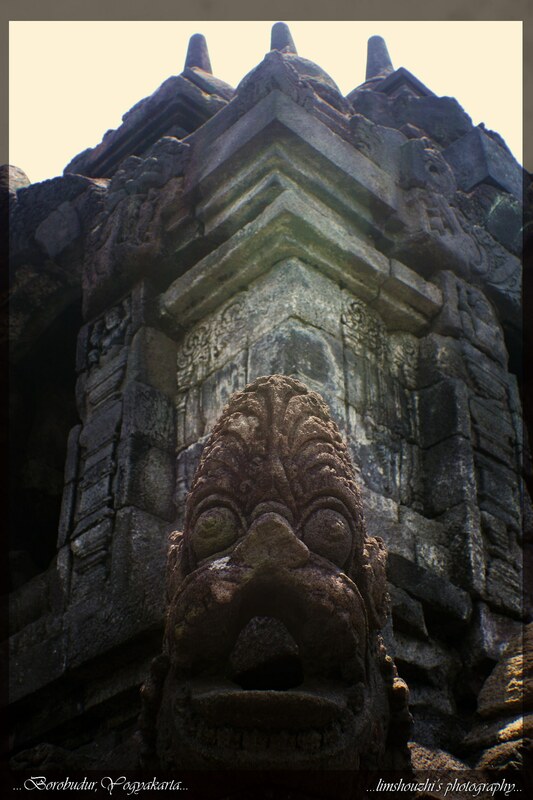 “At a time when Europe was still in the dark ages, the “Central Javanese Period“ was building religious structures and art, now being recognized as the oldest and highest level of art within South East Asia,” (extracted from borobudurpark.com). 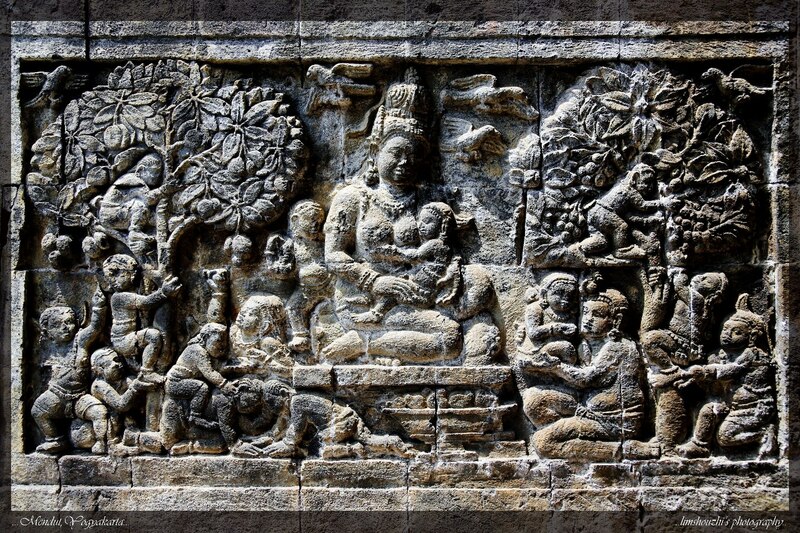 This shows that how early a civilization had been established in South East Asia. After another tiring 4 months in ‘accident and emergency’ department, I managed to get a stretch of 12 days off! 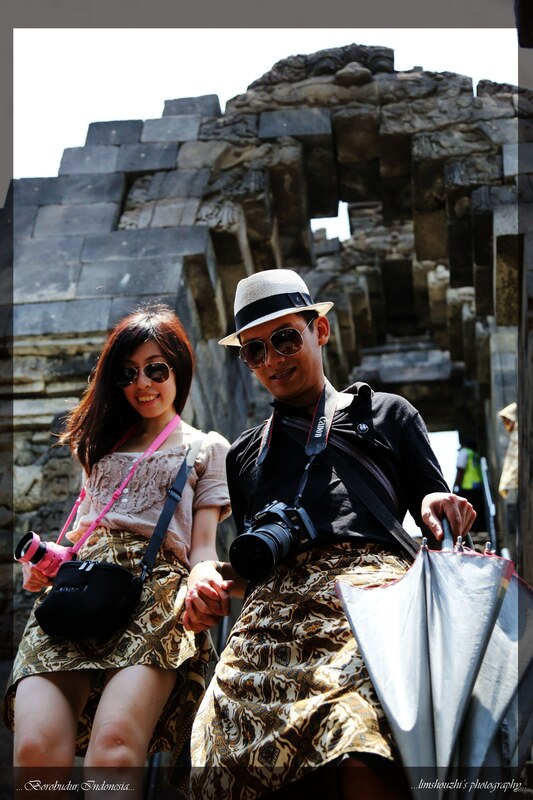 And this time, limshouzhi’s weblog brings you guys into another interesting adventure; central Java of Indonesia. 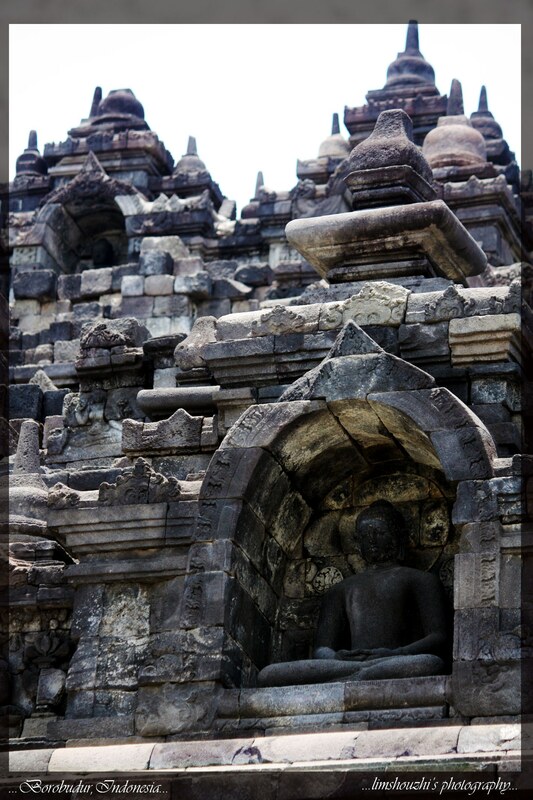 It has been my childhood dream to visit this impressive mega structure built in the ancient world in Central Java. This is one of world’s truly great ancient monuments, the single largest Buddhist structure anywhere on earth, together with Angkor Wat in Cambodia. Well, in my personal opinion, I noticed that everyone are knowledgeable when people are talking about Angkor Wat, but whenever the topic of Borobudur crops up, some of them are still wondering and puzzled of the whereabouts and the very existence of such a place. This may be due to geographical aspect as we are closer to Cambodia than Java. I knew of these great monuments in my secondary school days during my world history chapter as this was one of the major topics for my exams. Besides preparing these topics for exams, I was always keen to learn more about them, as it was one of the most important monuments in South East Asia regions. 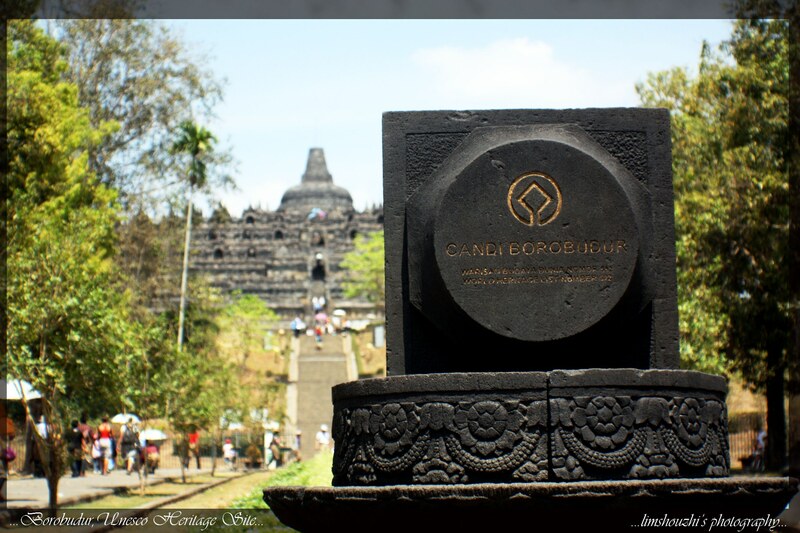 The history of Borobudur dated back in year 750-850, where it was the biggest Buddhist temple ever built during that time of the Sailendra Dynasty in central Java which was known as ‘The Golden Age’ before Java was converted into Islam. 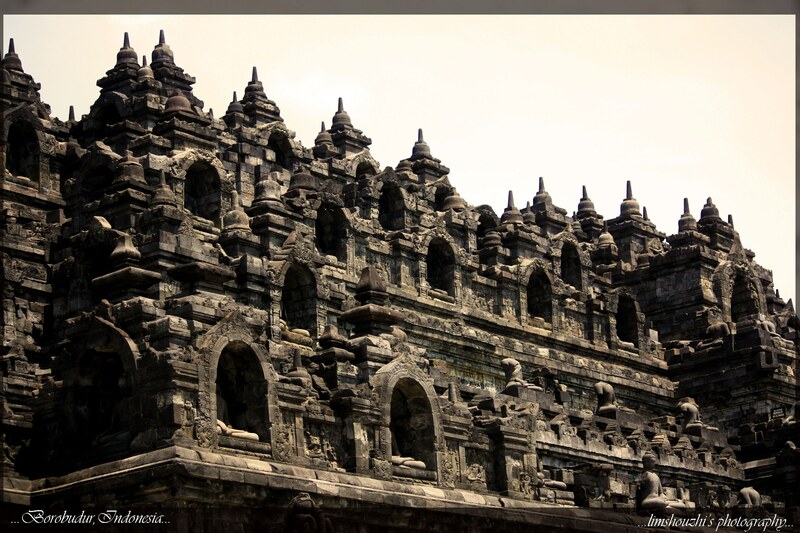 It took 75 years for it to be completed and it was abandoned after Javanese conversion to Islam. It was rediscovered by Thomas Stamford Raffles later in 1814. 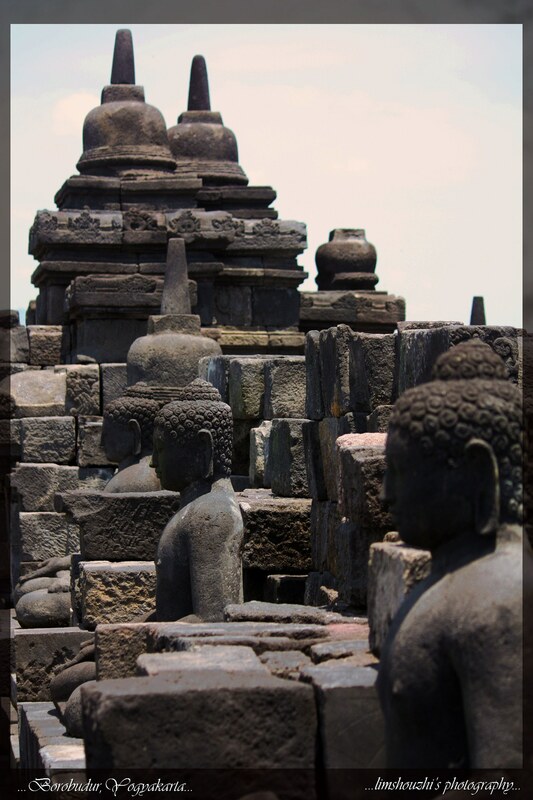 Borobudur was listed under UNESCO World Heritage in 1991, together with Prambanan, another masterpiece of Hindu culture of the tenth century, which is the largest temple compound dedicated to Shiva in Indonesia. 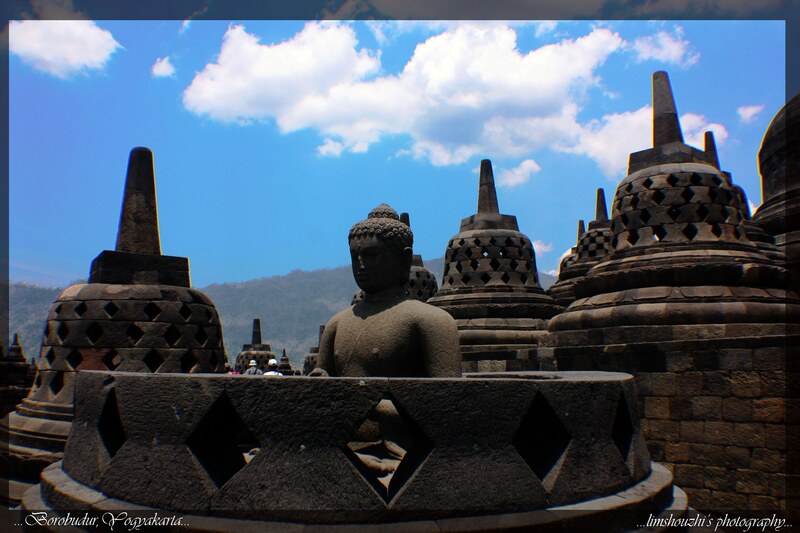 No one is considered as having visited Central Java without a visit to these great monuments! Well, if you search the web, there are a few options for you to reach these wonders and one of the cheapest is by public transport. But trust me, I suggest that you hire a driver where he can take you wherever you want to go and on time too. Also you won’t miss any important part of your trip, and it is inexpensive; rather than squeezing yourself like a tuna in a bus without air-conditioning in a weather which is hot and humid. 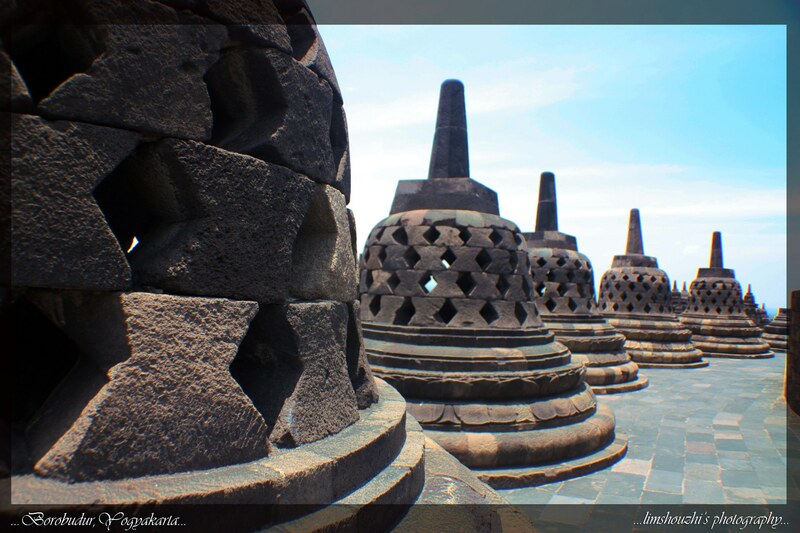 Some of the travel guides told us that the sunrise in Borobudur is the most beautiful. But, according to Pak Handoko, it all depends on both our choice and luck. In order to see the sunrise in Borobudur, you haveto wake up at 3.30am in the morning in order to reach by 5.00am to catch a glimpse of the sunrise, and you need to pay extra charges for the ticket. And if you are not lucky, and if on the day of your visit it is cloudy, you would not have only wasted your time but money too. In view that it is almost rainy season in Yogyakarta, we opted not to take the risk. The entrance ticket per person for foreigner is Rp 188,000. Thanks to Pak Handoko, he managed to get us Rp 175,000 per ticket. Free drinks are available, and you can get complimentary mineral water, coffee and tea. One must remember to bring an umbrella along as there is no shelter along the tour and the heat could be extremely unbearable. In case you forget, you can rent an umbrella from the locals. They earn from renting you the umbrella, and one umbrella will cost about Rp 5000, and he will follow you from the beginning till the end of the tour. He will carry your bags and even show you where are those good angles to take nice pictures etc. Again I have to remind you not to forget to give them some tips as they earn the money through hardship. The best time to visit the Borobudur is during Wesak day as they will hold the celebration here and a parade from Mendut to Borobudur and you are able to release a sky lantern up to the sky. Please bear in mind, that as soon as you finished your Borobudur tour, you will surely be surrounded by all the souvenirs sellers at the gate. Thus, do not promise them that you going to purchase from them or else they will hunt you down literally! And try to bargain with them, for their prices are usually 3-4 times higher! And don’t rush to get those souvenirs as there’s a big bazaar on your way out where you can get a better price there! 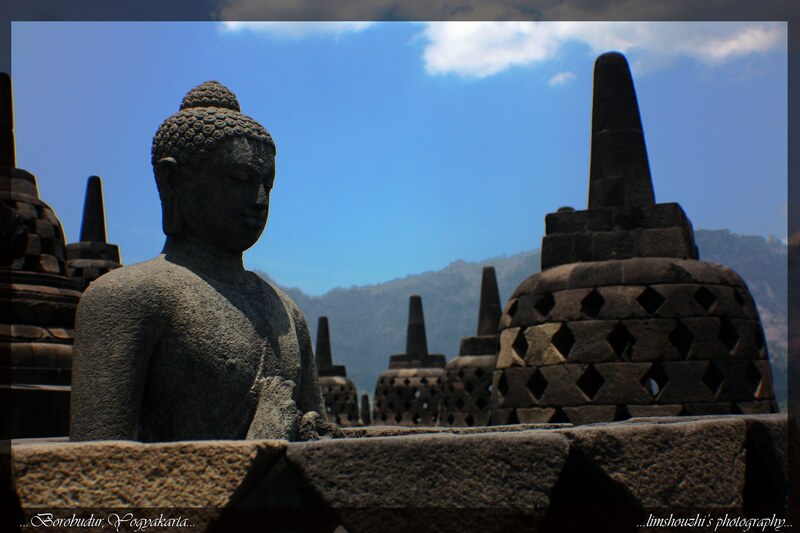 After visiting Borobudur, next stop is at Mendut, about 3 km from Borobudur and this is another unique Buddhist temple. Here, the ticket per person is Rp 3500. It’s not a big temple, but it is the oldest temple around the area. 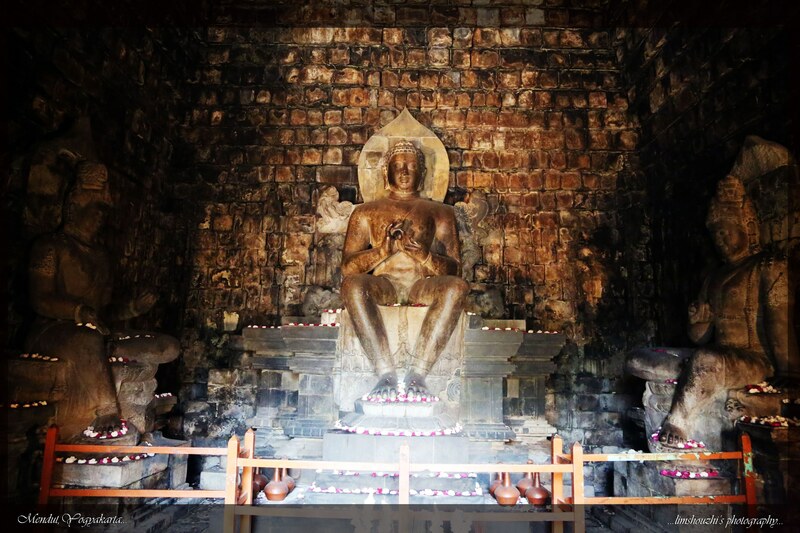 And inside the temple you can see the statue of Dhyani Buddha Vairocana, Avalokitesvara, and Vajrapani. 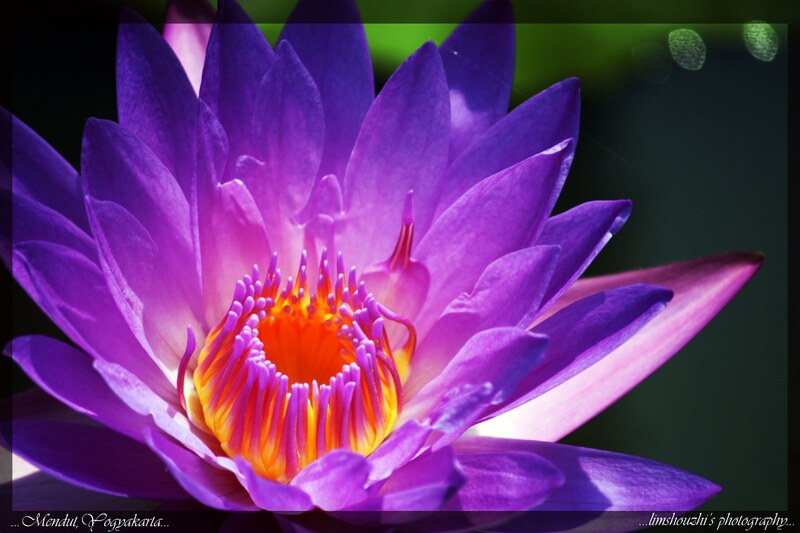 The environment is superb and it gives a sense of calmness to your soul. 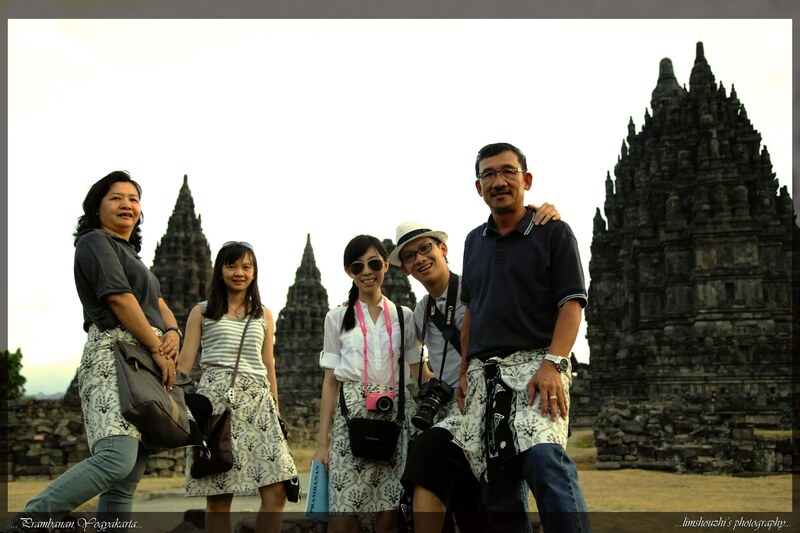 Next stop is another UNESCO World Heritage which is located 18km from Yogyakarta, Prambanan.Prambanan. 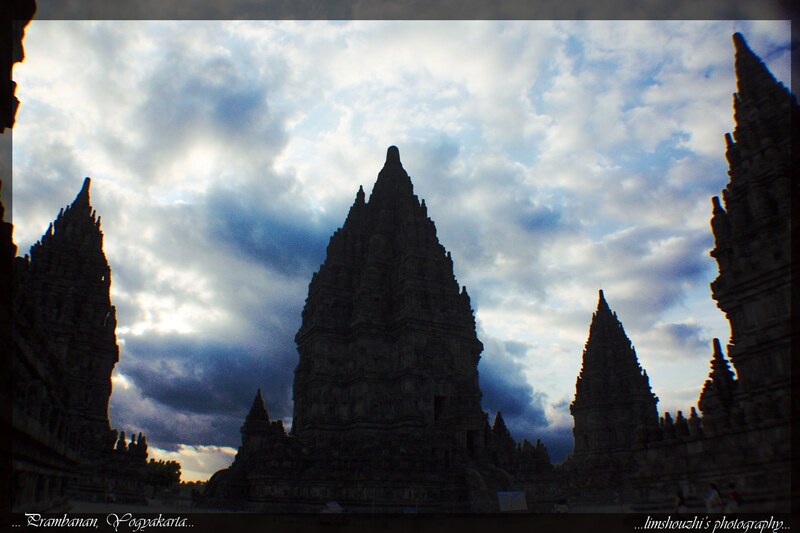 It is a Hindu temple known as the largest Hindu temple not only in Indonesia, but also in Southeast Asia. The entrance ticket per person is Rp 300,000. Trust me, you will be amazed by the surroundings once you stepped into the heart of the temple’s ground! 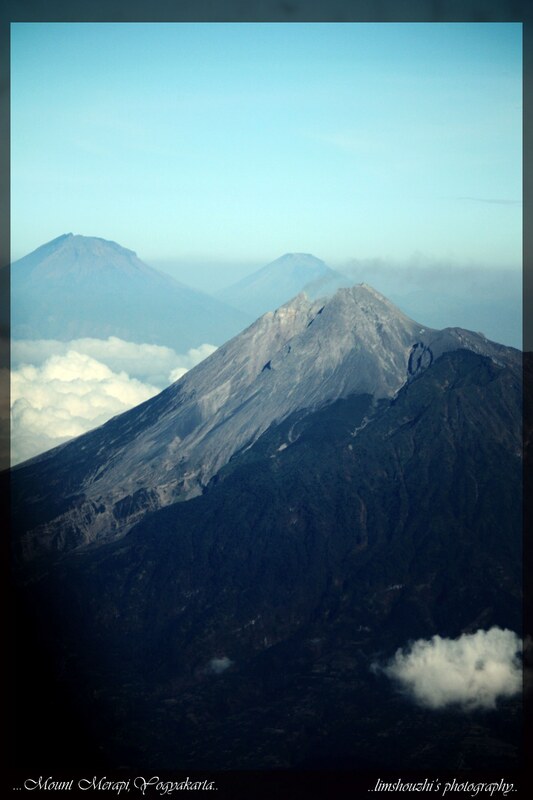 Another place that I would like to share with you guys, is Mount Merapi, an active stratovolcano located on the border between Central Java and Yogyakarta, Indonesia. The last eruption was in 2010 and 324 people were killed in that event. Now, it’s open to the public just to visit from afar and one is not allowed to approach nearer, yet you still can see fresh ashes around the area. 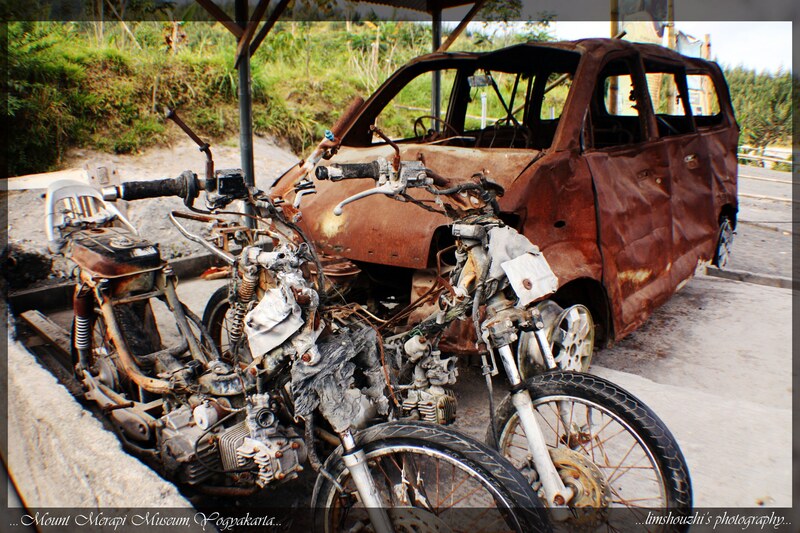 There’s a museum displaying some destroyed houses and vehicles during the eruptions. In general, we’ve visited a majority of the main tourist attractions in Yogyakarta and the only one we have to leave out was RatuBoko due to time constraint as we were trying to catch the sunset in Prambanan on the same day. 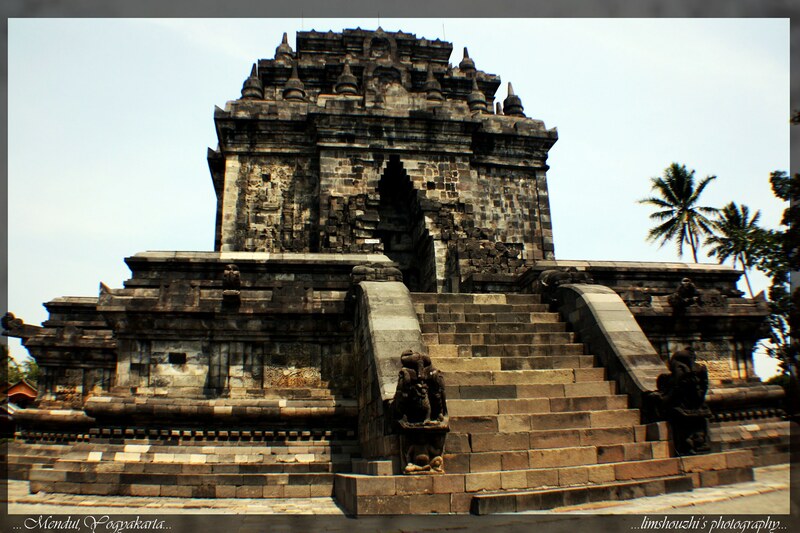 For your info, the ticket for the entrance to RatuBoko is Rp 90,000. Thanks for staying with me and for the next coming entry, I will share with you my trip to Bali, a beautiful place they call ‘lovers paradise’! 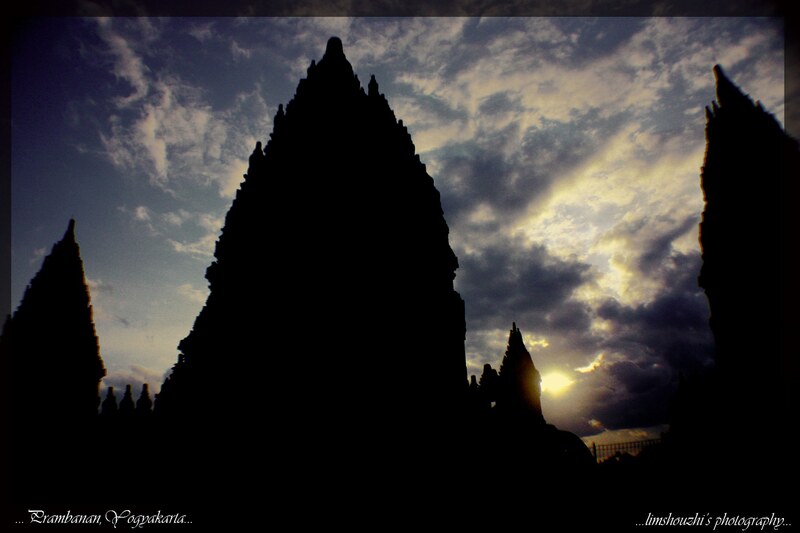 Gallery | This entry was posted in Photography, Travel and tagged Angkor Wat, Bali, Borobudur, Cambodia, Mendut, Prambanan, Ratu Boko. Bookmark the permalink.